One of my recent projects has been a labour of love for our daughter. 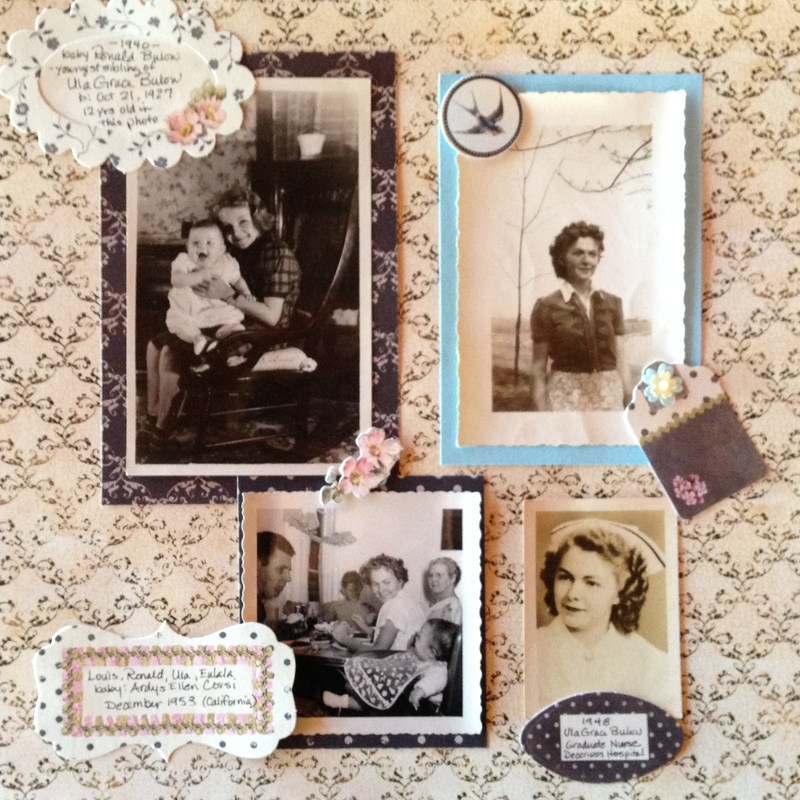 A genealogy scrapbook. As with most tasks, paying attention yields a few lessons along the way. As you know, I have always been a snapper of photos. My own photos fill albums. Inherited photos fill a file drawer. I now realise the photos I’ve taken for myself are mostly a form of visual diary. This is me, where I went, who accompanied me and, God help me, what hairstyle I was sporting at the time!! Probably interesting to no one but me! But the inherited photos were more. They worried me. 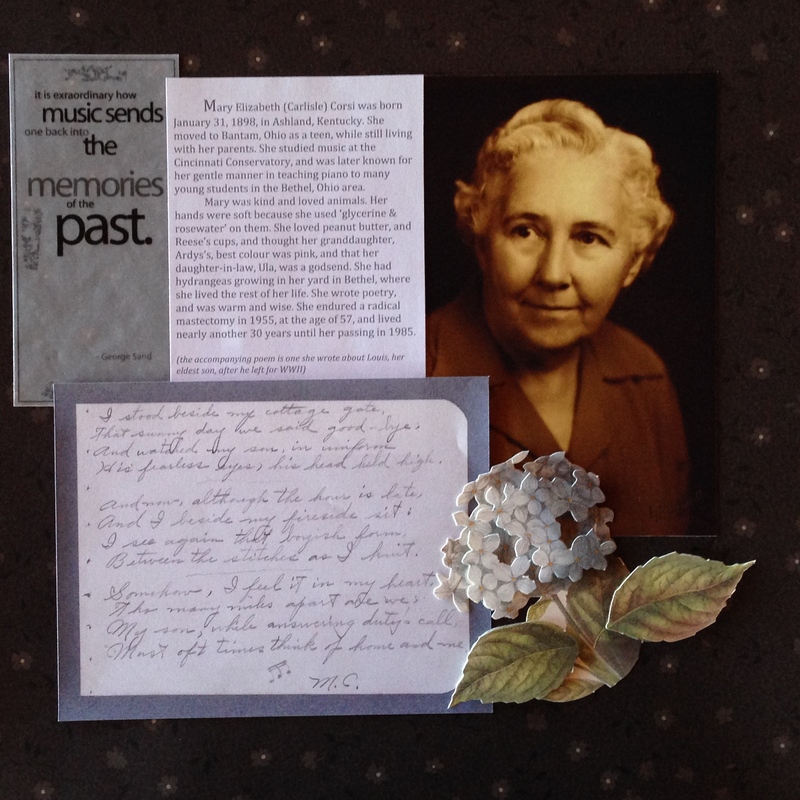 It became obvious it would be my job to assemble this branch of our families’ histories in some form that would help our daughter understand from whom, and where, she had come. Since we have only one offspring, and both of all our families are in the USA, she will likely be the only surviving disseminator of the family history in Australia. What a responsibility… for us both. You can see the dilemma… how to put together the knowledge in my head, the photos in the file, give her a sense of connection, and not overwhelm her. there would be ONE, 20 page (10 two sided pages) album. No more. 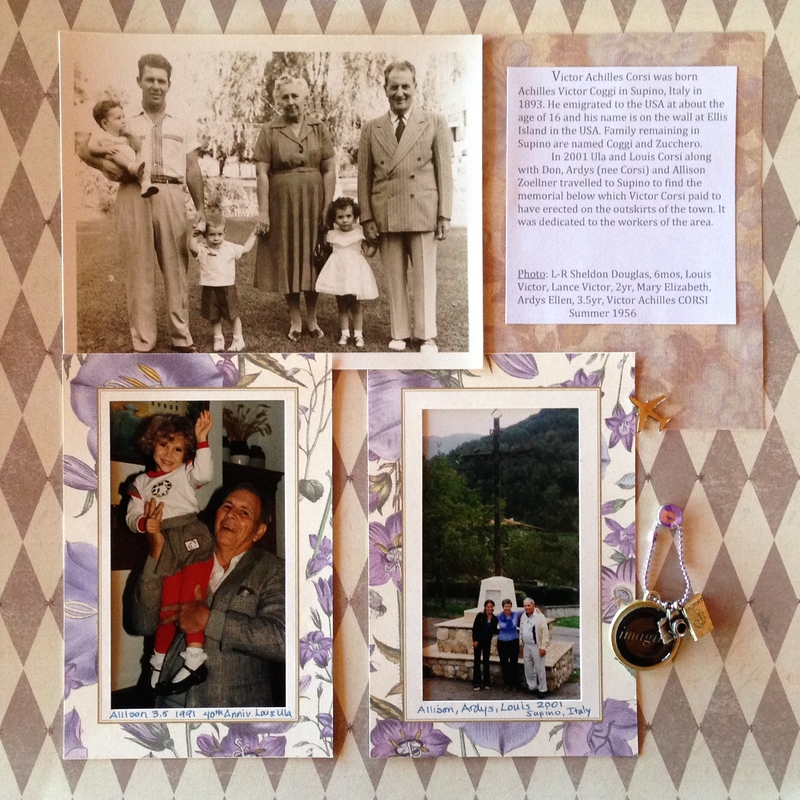 from Italy and back again–3yr old girl in top photo is me, 3yr old in bottom left photo is our daughter, the man depicted in the top photo, left side, and bottom two photos is my Dad, with his parents and children, and also in Italy, where his Dad was from. no matter what I put together, it is only MY view. Others may (will probably) be critical, but the job is open for them to do their OWN version. when the album was finished I felt massively relieved. She has not seen the album, except online in a photo stream I set up for her. I will hand carry it when we go to Adelaide to see her in a few months. She will love it, but I also know that she has many other photo albums, and another scrapbook and… enough is enough. The time was right. My work is done; I can now stand back. Serenity reigns. From time to time I undertake similar projects, and bear in mind the need for such parameters. I always remind myself that if in review I decide it could be better (hasn’t happened yet, I’m a believer in what is done is good enough) I have the fallback of re-doing it. Not much is carved in stone. 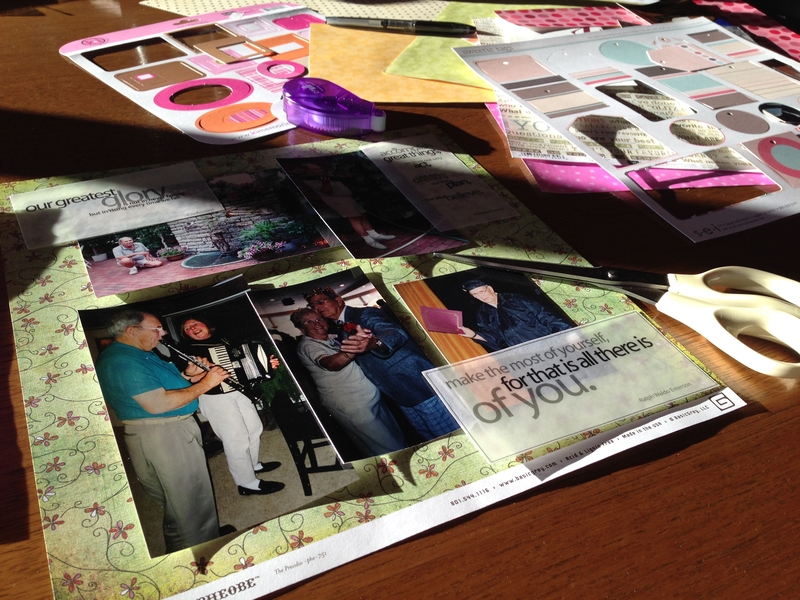 I love the scrapbook you have created. It’s a special keepsake, and I think you have beautifully accomplished what you set out to do. An enormous project : I love the parameters you set for yourself! And I particularly enjoyed reading the LaoTsu poem as prefaced, my favourite poet and, if I had an religious leanings at all, they would beTaoist. You have enough on your plate Ardys. Best wishes to your daughter and safe travelling. That was quite a project Ardys! Looks like you did a fantastic job too. I’m sure your daughter will love it and I do hope she recovers soon! Safe journey. I hope your beloved daughter is OK. Though she may have other albums, other scrapbooks I think this one will be treasured for the eclectic mix of photographs so lovingly linked . It looks fantastic. My daughter did a scrap book in a form of This is Your Life for my 60th and though I have been a photo hoarder for years, this means the world to me. Yes, there does seem to be an added layer of meaning and emotion to a collection of photos put together in this way. Thank you for your good wishes, David. So much work and love poured into this beautiful project. 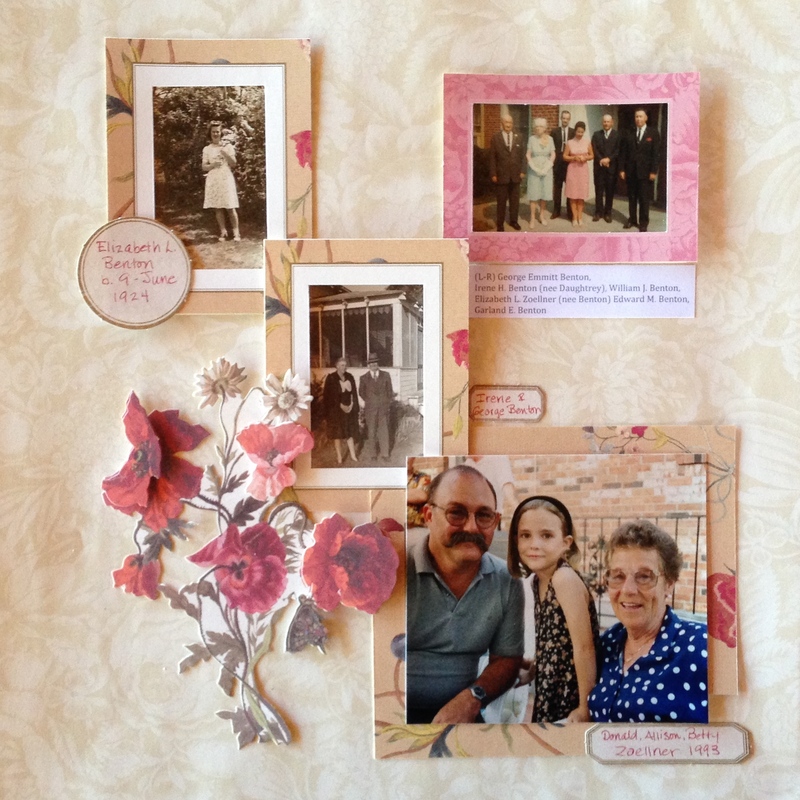 I only wish I had the creativity and energy to tackle our boxes of family photos. I’m sure your daughter will treasure this album! Wishing you a safe journey and hope for a speedy recovery for your daughter. It really was a daunting project, so I can relate to your hesitation to tackle it! Setting the parameters was key to being able to manage it, though. Our daughter was very relieved to see me, as I was her. Thanks so much Debi, for the good wishes. May you all be well to enjoy your travels. You were so smart to set the parameters you did, which allowed you to dig deep for meaningful photos and connections. Reading your post was such a poignant moment because I have virtually no family beyond myself and my husband. Both only children; no children of our own; parents, etc. all gone. It is wonderful to hear the love in your post. Safe travels to you, and all the best to your daughter for a quick recovery. Thank you so much Dale. I arrived at her home last evening and was very glad I came. It is sometimes easier to see when others need us, than it is to see in ourselves that we need help. We spent time over the scrapbook and it was lovely! Oh wow, this looks gorgeous. 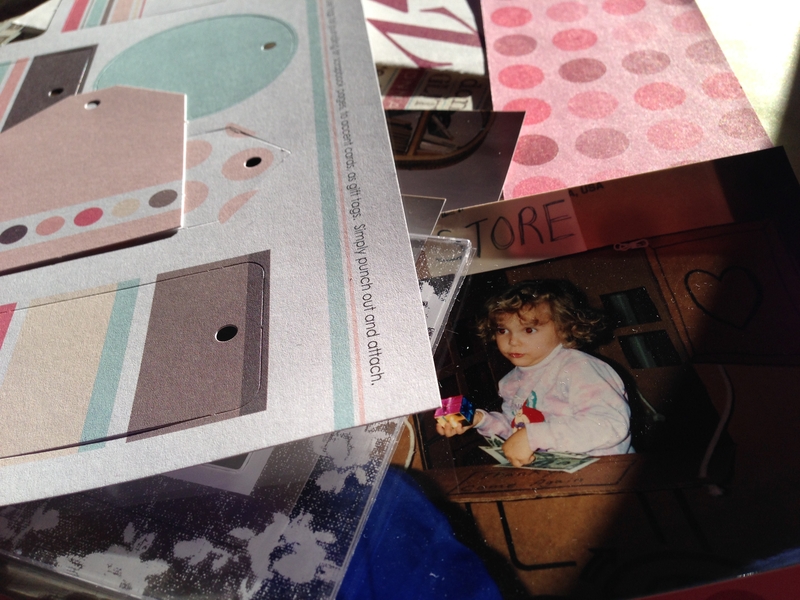 Now I feel guilty about all the photos I have just languishing in boxes …. I have to admit I’m greatly relieved, having now done this. Both generations on either side of me are most appreciative, too, which is really nice. That’s a wonderful quote. Thanks for sharing it! You are so right, Laila, it is an amazing and ever surprising part of being human.